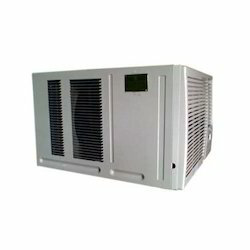 Leading Manufacturer of air handling unit, fan filter unit, industrial dehumidifier, industrial dust collector and industrial humidifier from Faridabad. With the aid of years of understanding of this domain, we present patrons with the superior quality of Air Handling Unit. 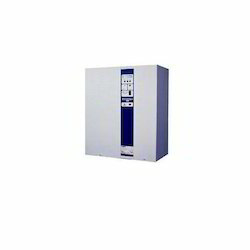 Acclaimed for its easy installation, compact design, less power consumption and excellent cooling efficiency, the air handling unit is manufactured by using latest technology. 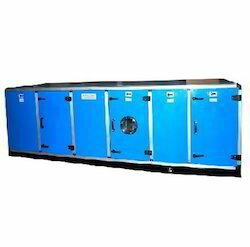 The air handling unit is used to regulate and circulate air in HVAC units. Madhav Trading Fan Filter Unit provides a Class A working environment (according to GMP guidelines). The main focus of application is product or process protection against contamination introduced by many sources, such as personnel, general work area, manufacturing, performance, process, machinery, or the product itself. These modules are typically installed in an inverted T-bar grid suspended from the ceiling. Minipleat HEPA filter of efficiency 99.999% for supply. Close pleated pre-filters for suction 95% for suction. Magnehelic gauge for pressure differential. UV light along with hour meter. 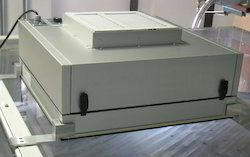 Units are available in two types Horizontal flow. Vertical flow. Assembly and cleaning tasks in industry and research, laboratories, universities, pathology departments, authorities. With our expertise and trustworthiness we are engaged in manufacturing, trading and supplying an optimum quality range of Industrial Dehumidifier. Industrial dehumidifiers control relative humidity and dew point in many industrial applications, from waste and fresh water treatment plants to archive storage facilities. 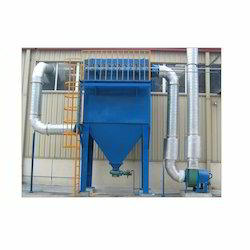 We are well-established exporter and supplier of highly efficient Industrial Dust Collector from India. It is an essential product for most of the medium to large scale industries and has a never-reducing demand across the globe. Our product is well acclaimed for its longevity and its light weight. The other striking features of this product are its compatibility and adaptability to any weather conditions. As an esteemed name in this industry, we undertake servicing and ensure quality work. Owing to our enriched industrial experiences, we are devoted towards manufacturing and supplying a wide variety of excellent quality Industrial Humidifier. Industrial humidifiers are used when a specific humidity level must be maintained to prevent static electricity buildup, preserve material properties, and ensure a comfortable and healthy environment for workers at industrial premises.